We make personalizing your car or truck easy. With a few subtle additions you can easily add the personal touch that your vehicle needs. From floor mats, dash mats, to headliners, we have got you covered! 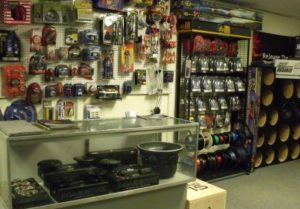 Our shop has car accessories for virtually every make and model vehicle imaginable. Customize your ride with the latest in automotive accessories. We cater to classic cars, luxury cars, show cars and the automotive enthusiast! We have what it takes to add a touch of class and personality to your vehicle. To view all of our custom car accessories come on down to the shop today. Have a special request? Use the contact form to ask us, call us at (727) 544-0022 or stop by our car accessories store today.